Canning season is sneaking up. Soon we will all have counters full of fresh produce waiting for to be eaten or squirreled away for later. I have a full book shelf of cookbooks and a shelf devoted to preserving and canning books. In the days of Pinterest and amazing websites like this one you might be wonder why bother with a book? For one, I’m old school. I like books. I also prefer to have a book on hand than my phone or laptop when I’m working in the kitchen or researching to plan out my next garden full of ingredients that will wind up in jars in my basement. There’s also the safety issue. I’m not saying that you can’t find safe recipes online. You can. But I’m personally more comfortable getting tested recipes from Ball or America’s Test Kitchen. Botulism isn’t something I want to mess with. Once you get a handle on safe canning practices you can branch out a little. When in doubt store it in the fridge and eat immediately. I tend to stick to small batch canning and my book collection reflects that. 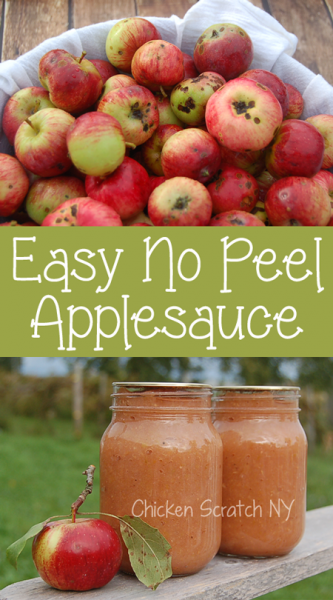 The only large quantities I deal with are salsa, pickled peppers and no peel applesauce. My personal gardens tend to over flow with strange and uncommon ingredients. I find that books filled with hundreds of recipes are more likely to include stranger ingredients like ground cherries. if I had to pick only one book this would be it. The Ball Book is straight up the basics. The recipes aren’t fancy, the techniques are all proven classics. The only problem I have with this particular book is that some of the recipes call for huge quantities. I’m talking bushels of tomatoes. Most of the recipes are for water bath canning but there is a chapter on pressure canning. You can’t go wrong with America’s Test Kitchen and Foolproof Preserving is no exception. 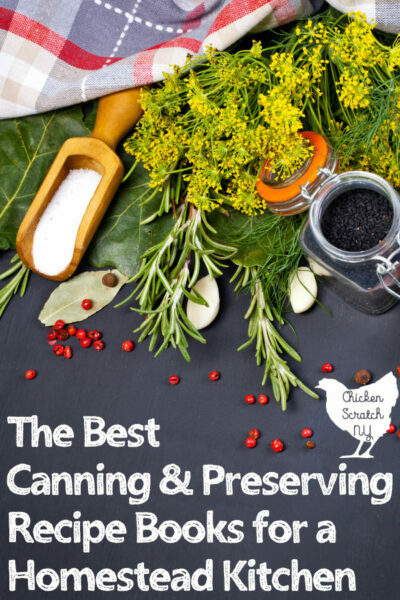 It’s has a great introduction to canning with easy to follow instructions making it especially valuable to the beginning canner. The things that sets this book ahead of the pack is the pictures. If you can’t learn to can from someone having detailed pictures is the next best option. It has chapters covering sweet & savory jams, pickles, tomatoes, fruit in syrup and condiments & fruit butters. Not all of the recipes are for water bath canning, it also has refrigerator pickles and jam. You aren’t going to find a lot of crazy and unique recipes here but it does cover all the classics. was one of my first books I bought specifically on small batch canning. I have at least 30 recipes flagged in my copy and notes scribbled all over it. They have a lot of unique flavor combos and ideas. 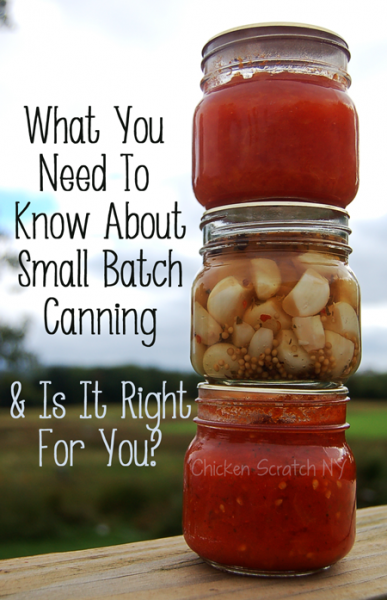 It works out because small batch canning is great for experimenting. Not all of the recipes are for canning, there are refrigerator and freezer options. You also get a bonus section on flavored oils & specialty vinegar. is a little different than the others on the list. Each chapter is organized around one preserving recipe. Then you get several recipes that utilize what you just canned. It’s a really cool concept, I can’t tell you how many time I’ve put up a dozen jars of something only to wonder afterwards what the hell to do with it all. I don’t eat a lot of bread so the 9 million jars of jam don’t make that much sense in my house… I’ll never learn and I’ll be making jam until I die! There are fewer recipes in this book than in the others I’ve shared but each one is truely unique and covers a different preserving technique. is by Marissa McClellan from Food In Jars. The recipes in the book really are tiny. Some make only a half-pint! I’ve doubled a few with success (the pizza sauce) and failed at others (rhubarb rosemary jelly). There are a lot of creative, unique recipes I’ve never seen anywhere else. Marissa is certainly a genius when it comes to flavor combinations. There are a few errors in this one, one recipe calls for salt but never adds it (I think it’s the pizza sauce) so keep that in mind as you’re following along.